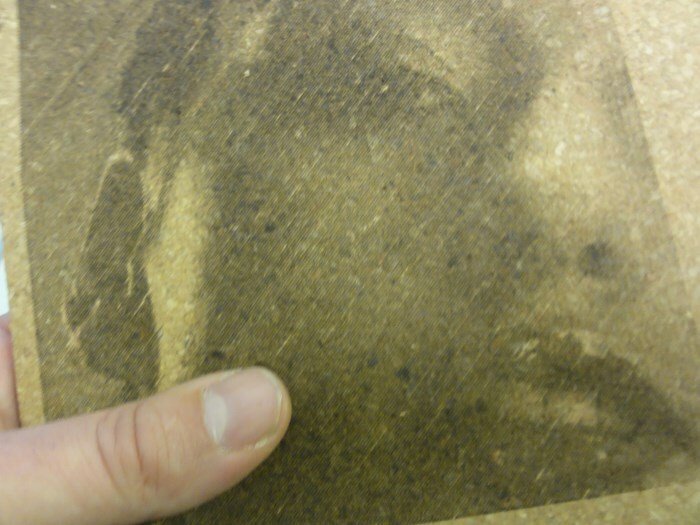 In our example a laser engraving on cork is shown. 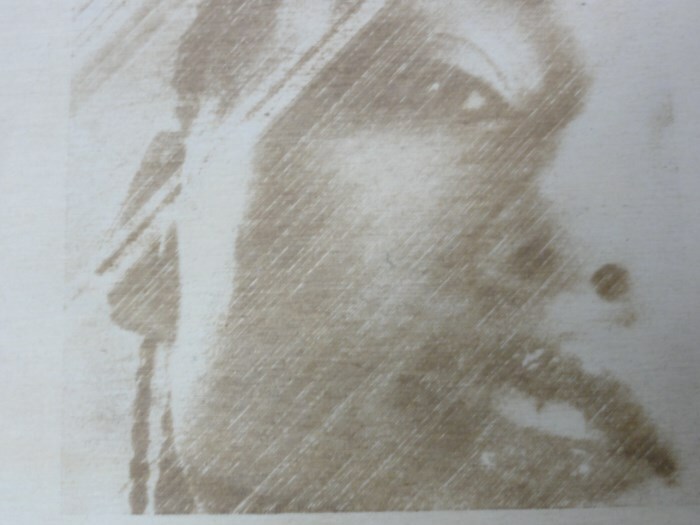 Fonts and graphics on cork also possible. 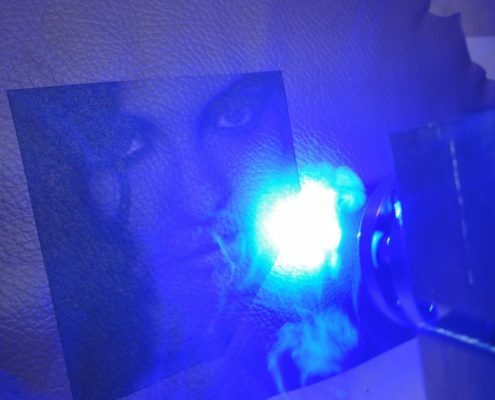 It must be noted that the laser must not be set too high as otherwise only black lines would result . 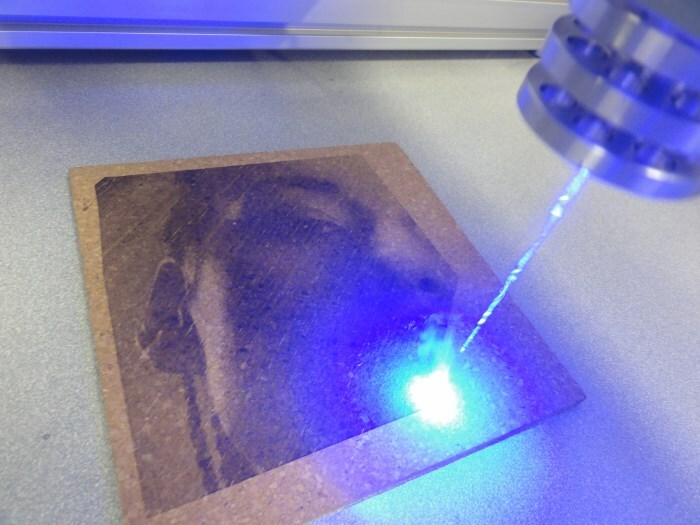 The strength of the laser module can be adjusted and controlled individually already in the software ConstruCAM 3D with its special laser module. 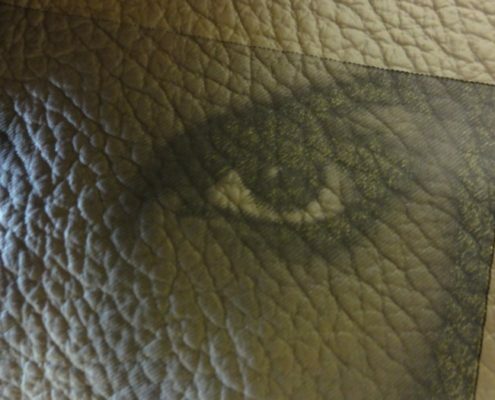 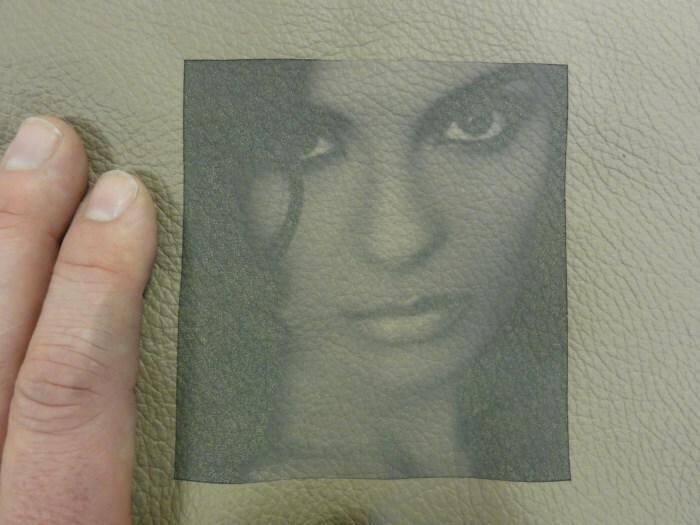 In the example shown, you can see a photo engraving with the laser module on leather. 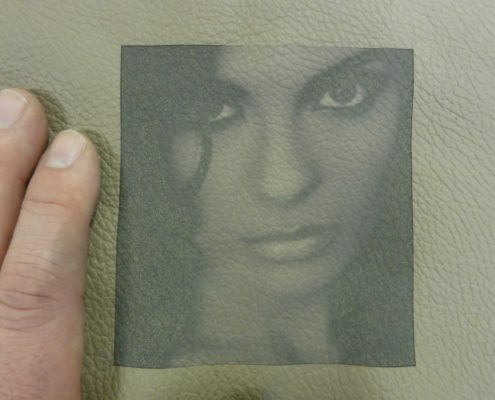 Again, the selected strength of the laser and its related speed of the machine plays a major role for the result of the engraving, as too “hot” lasers the surface of the leather would completely burn. 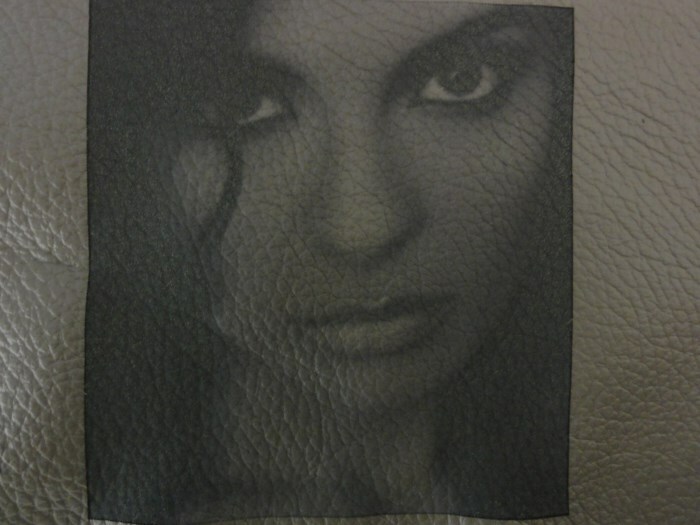 Of course we have not tested all types of leather. 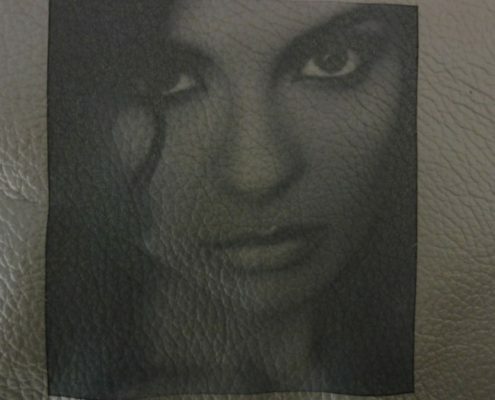 It is anticipated that one or the other type of leather is more or less suitable for the use of lasers and engraving with this. 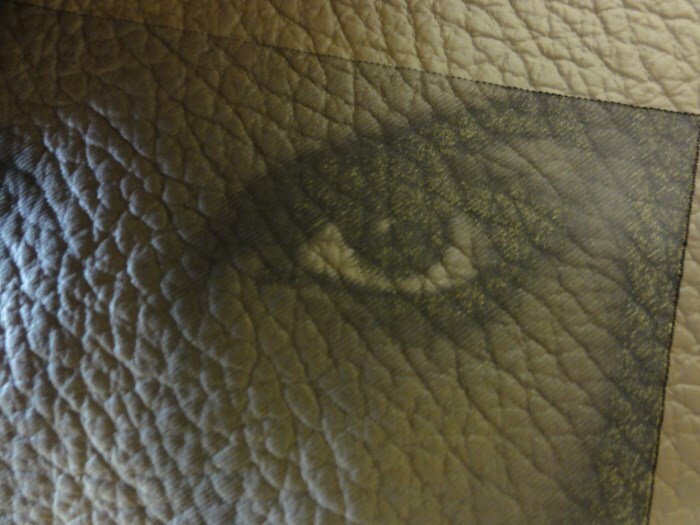 On dark leathers the engravings are highlighted. 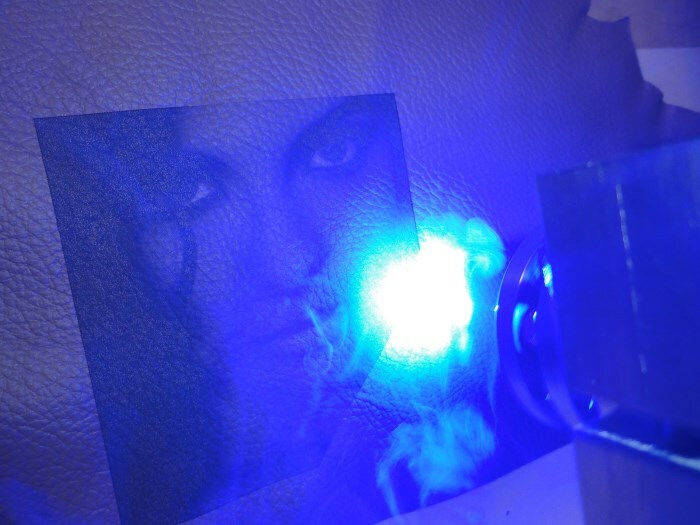 Applications for laser engraving the form of photos, fonts, logos can be found for example in leather trousers, wallets, leather bags or leather belts. 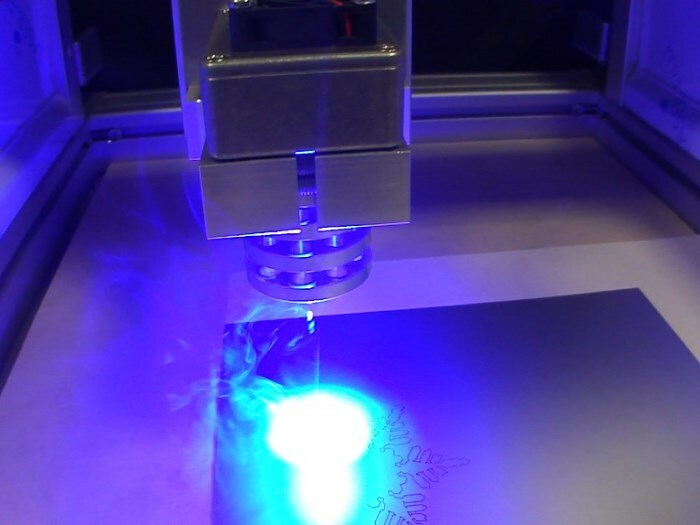 All vector files can be laser engraved. 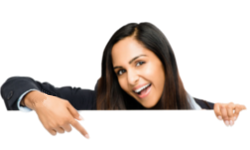 This may include thousands of free templates to be used from the Internet as well as your especially created graphics from Corel Draw or ConstruCAM 3D or other vector-based processing programs. 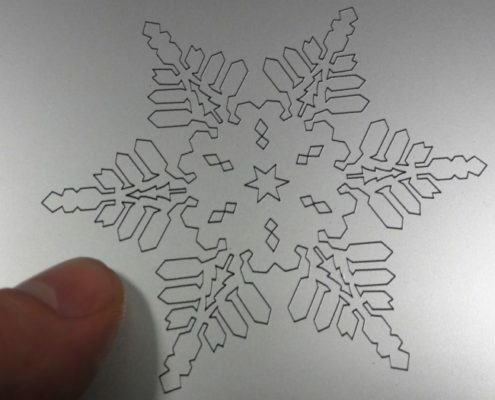 The snowflake is just an example of what is possible. 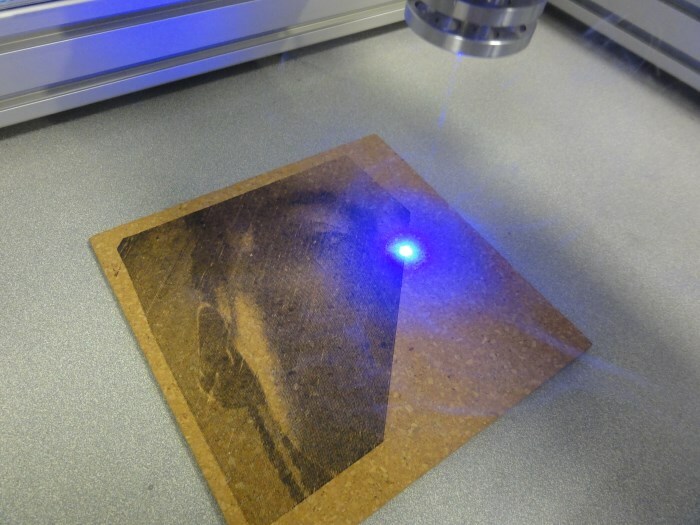 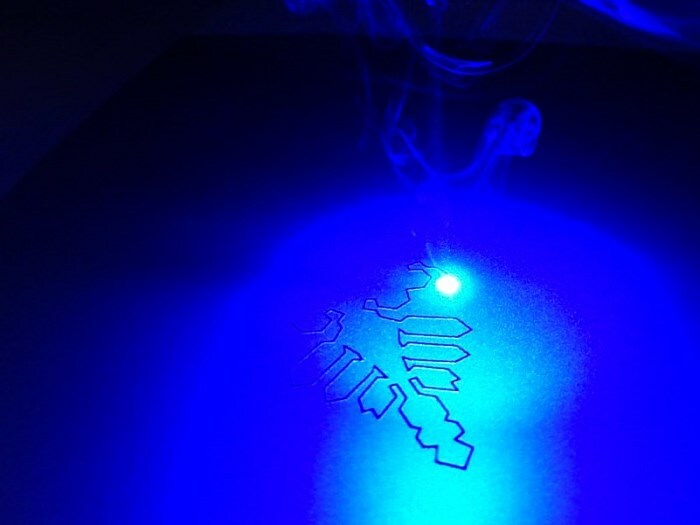 You certainly have some better ideas for laser engraving on Laserply.